GreenPowerMonitor continues growing in Latin America announcing 7 new plants in Uruguay. The activity of GPM in Uruguay has been growing since its implantation in 2015. GPM manages now more than 165MW in the country. These 7 new plants is increasing GPM’s portfolio by 80MW. 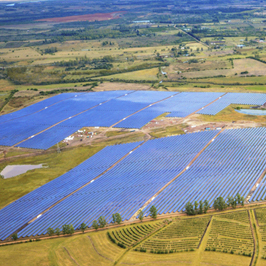 In total, almost 80% of the Uruguayan photovoltaic solar station is managed by GPM. The monitoring and controlling of the photovoltaic facilities will be managed by GPM SCADA and GPM Power Plant Controller solutions. The company is in a constant growth, consolidating its position in Latin America, where GPM manages almost 1GW. GreenPowerMonitor is proud to be involved into the development of a cleaner and an environmental friendly energy projects.